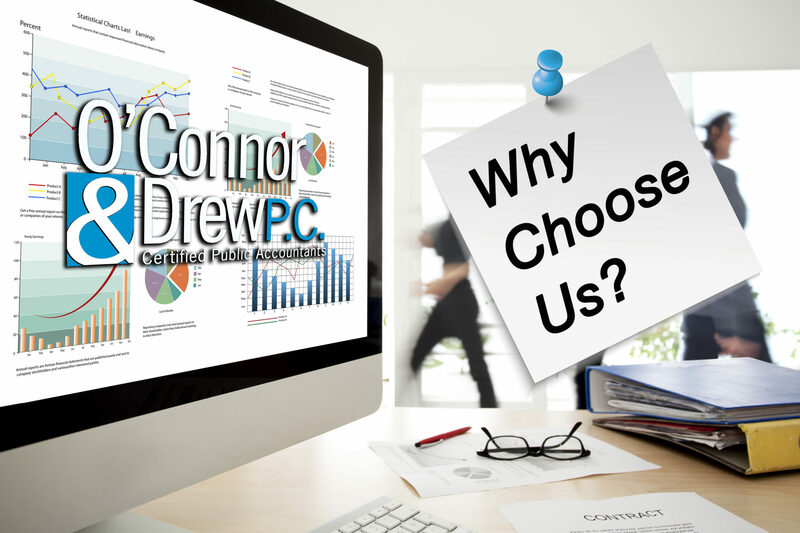 Why Choose O'Connor & Drew, P.C.? - O'Connor & Drew P.C. Why O'Connor & Drew, P.C.? O’Connor & Drew, P.C. is one of the largest accounting firms in New England and is enjoying continued growth year over year. And as our firm expands, so do the many opportunities for our staff. While maintaining continued growth, we simultaneously maintain our firm’s employee-focused culture. Our staff is comprised of a great group of hardworking professionals with a median age under 30. Staff on all levels work together on projects. Everyone’s work and voice matters here from entry level staff to seasoned professionals. At O’Connor & Drew, P.C., you will have the ability to work with an array of different clients across different industries in both Audit and Tax. Examples of this are our Fraud Investigation/Forensic Audit and our IT Audit & Security divisions. We reward our staff by providing employees with a competitive salary and benefits package but it definitely doesn’t end there. We know that time can be just as important as money which is why our firm prides itself on offering staff flexible hours, early office closures on Fridays in the summer, company outings, team building activities, and more.